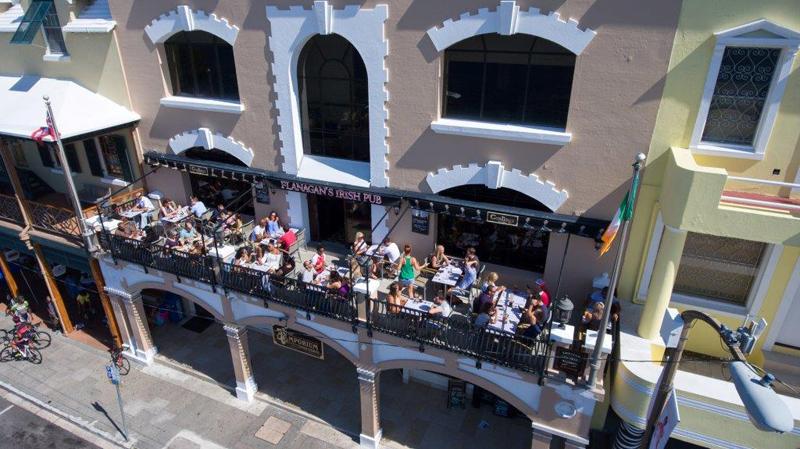 The Directors of Harbourside Holdings Ltd — Deon Mills, Barry Decouto and Chris Garland — said they are anticipating that 2017 will be a major year for the company’s group of restaurants which include the Flanagans Pub, The Outback Sports Bar and the Snug Café. The three directors, who took over ownership of Flanagans Pub & Sport Bar in 2007 and have since transformed the business. The owners have forecast 2017 to be a promising year, not only because of America’s Cup festivities but also because it is their ten-year anniversary of managing the Flanagans group of restaurants. The current Directors, along with the ownership team of Al McIntosh, Michael Sheehy, Conway Bennett, Anthony Daniels and Robby Bell took over the reins in 2007. Since then they have invested significantly in the business starting with the renovation of the previous Sports Bar into the Outback Sports Bar in 2009. 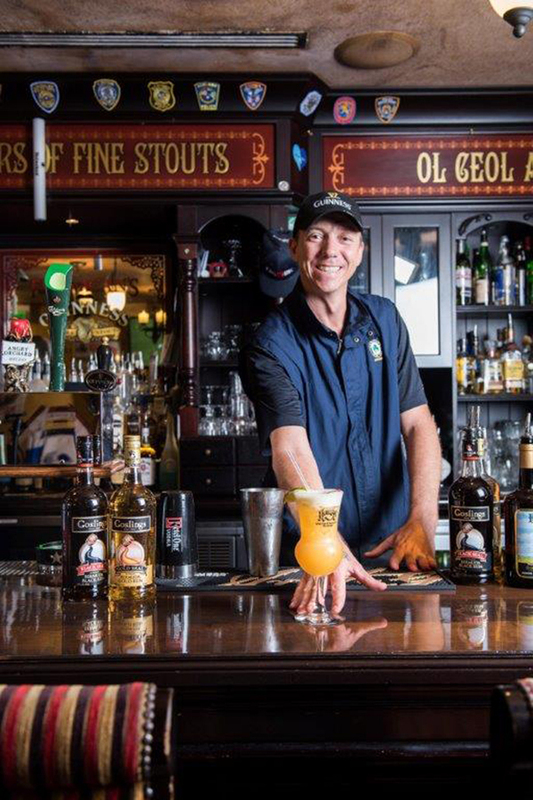 Following that, the Flanagans Pub underwent a major renovation in 2011 and most recently the group successfully opened the Snug Café in 2014. Currently they are focused on reinforcing their brand in the marketplace as one of Bermuda’s favourite eateries and identifying new restaurant opportunities. The Directors have spent the latter half of 2016 preparing for 2017 by reinvesting capital into its restaurant business. They are launching a new website and invested in the IT infrastructure of the company and its restaurants, by implementing new digital IT systems throughout their establishments with the help of local IT company Fireminds Ltd. The ownership team is also planning a large-scale St. Patty’s Day Block Party Celebration on Front Street on Friday March 17th 2017. Further details about this event will be released shortly. When asked about their secrets for success, Director Deon Mills explained “We have believed from day one in rewarding our hardworking staff. “Our unique ownership structure allows our staff to become working partners in the business. This is a great staff incentive. When the business does well, we all benefit. They have invested in the staff with programmes such as the CTA [Certified Tourism Ambassador, offered by the BTA] combined with their internal training and programmes such as the START programme and Career Pathways which gives Bermudian high school students the opportunity to train and work in the industry. 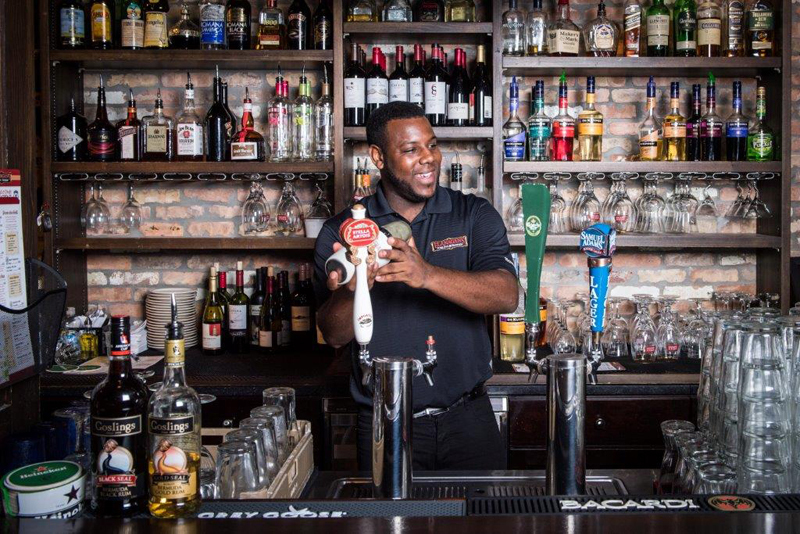 Mr. Garland noted, “We have three shining examples who are all well on their way to success in the industry: Jordan Masters, Garyn Simons and Zavante Garnett. They came to work for us via previously mentioned programmes and they have all been very successful. Harbourside Holdings said they are committed to supporting local vendors, and enjoy a successful long term partnership with Goslings, hired Fireminds to fulfill its IT requirements and also work closely with local advertising agency Strata-G Advertising. Speaking on all these recent developments Mr. Decouto noted “With new improvements in place, 2017 is set to be an even busier year for our restaurants, not to mention it is our tenth year of being in this business. 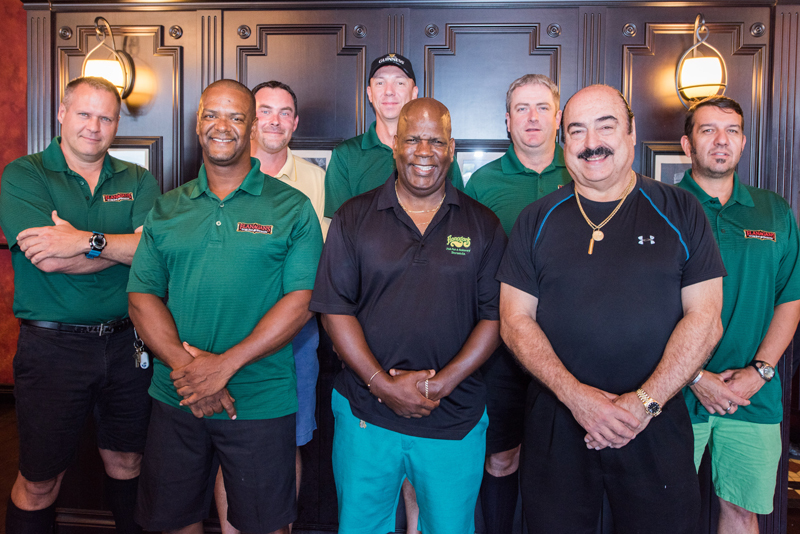 this is a great great great team – best in bermuda! they lead from the front and do it from the heart. wish they had a waterside flanagan’s as it would be the best family friendly, group friendly pub with a true island flair! keep up the good work deon barry chris robby conway et al! The food is awesome there…. Best wings in Bermuda and great service! I remember when Flanagans opened. It was, & still is the best pub. Congratulations to one & all.